Many marketers are unaware that the Hispanic community is shaping early technology adoption in the U.S. The next big demographic revolution is upon us, and it’s Latinx, according to Nielsen. 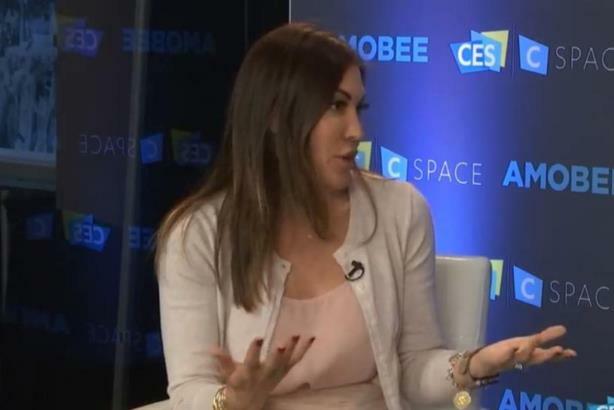 Stacie de Armas, the company’s VP of strategic initiatives and consumer engagement, stressed the community is setting the pace in technology adoption, given the vast gap in age counterparts. The U.S. Latinx community makes up 18% of the population. Last year alone, it contributed 51% of the total growth of the U.S. population. The median age of U.S. Latinx is 28. Compare this to the median age of non-Hispanic white at 43. "The community is a lot younger," said de Armas at CES in Las Vegas on Wednesday. "Even when you look at same age Hispanics to non-Hispanic whites, you see all these differences with engagement with tech. "Typically you imagine folks 18 to 24, regardless of their ethnic background, having the same tech adoption rates whether you’re a millennial or Gen Z, but that’s not what we see," she said. "We see the Latinx community way over indexing for a lot of these digital, social behaviors." A recent Nielsen (which uses terms Latinx, Latino, Latina, and Hispanic interchangeably) study found that 60% of the U.S. Hispanic population is under the age of 34, compared to around 40% for the non-Hispanic white community. But more interestingly, the research revealed that one-third of the U.S. Hispanic population is aged 18 or younger. This means Hispanics will be pace-setting tech adoption in the years to come. Marketers fall foul of engaging with Latinx because many assume they tick the box by putting out a non-Hispanic white-angled campaign in Spanish with no regard to cultural nuance, said de Armas. "Simple put, there is a predisposition among Latinos regardless of generation or whether you’re bilingual," she continued.